So for the last two weeks and a bit, I had been racing around in the spare hours to quickly throw together a zine for the Canberra Zine Emporium zine fair for You Are Here. Mappa Mundi is the working title for a new project where content is printed to single sheet of paper, which is then folded down, like a map. The main idea was to create an inexpensive and interesting read, which takes about the same amount of time as to hitch a ride on the bus. 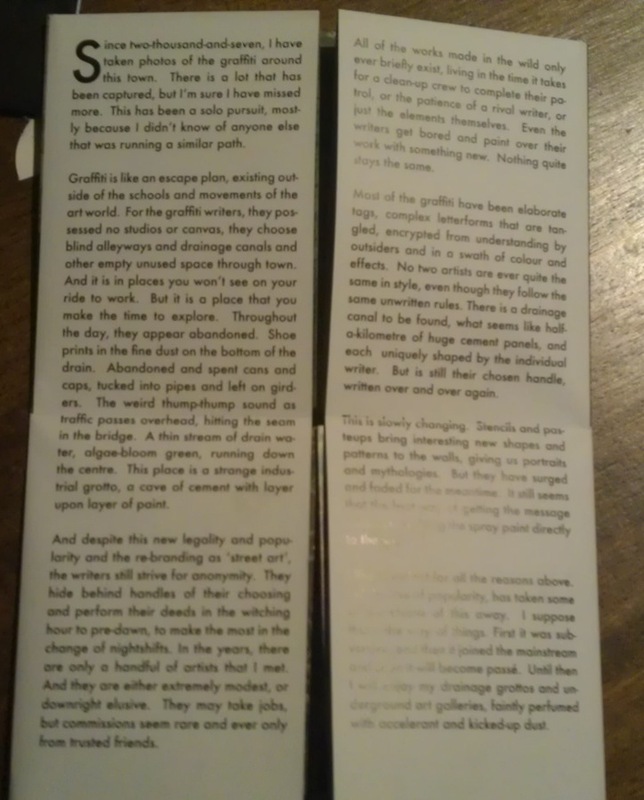 Essentially, each issue has roughly the same depth as a regular blog post (depending on the size of the unfolded sheet), meaning it’s short and sweet. 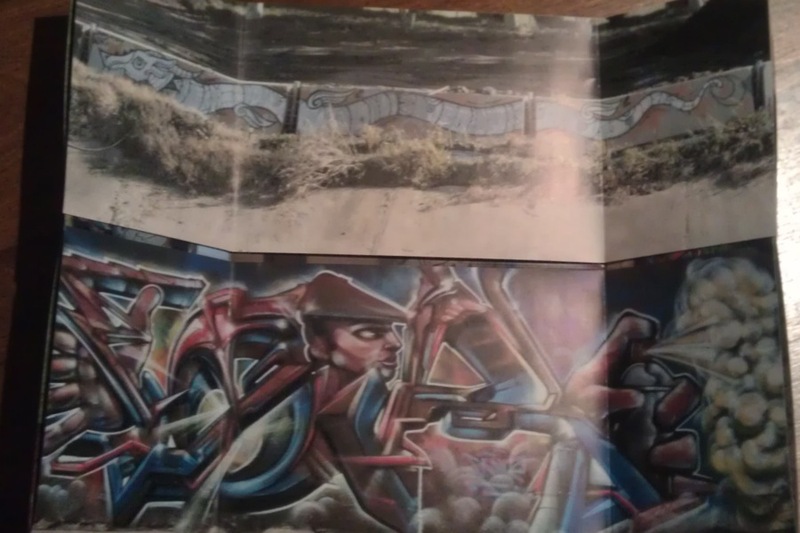 My test issue was an A2-sized sheet, printed on both sides with a brief blurb and some photos about a topic that I post about regularly on this site: Graffiti. 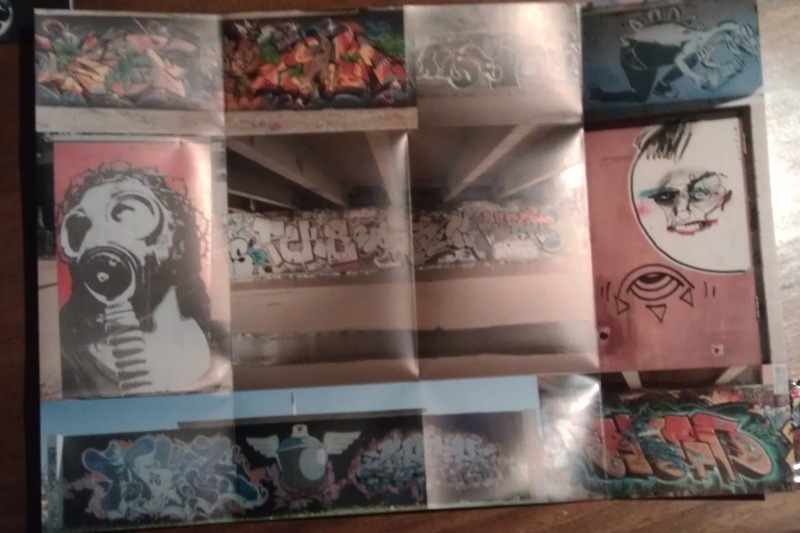 I thought I finally make use of years of street art photos and get some printed. The result is about as much as I expected and that’s pretty good. The people at Prinstant, who fixed my gaffs in the original draft did an excellent job, especially in the timeframe that I had for the fair. This entire thing was an experiment, but while I take note of a few of the things from this, I am looking for contributors. So if you’re interested in a copy or want to chat about where this project is going, drop me a line to my gmail (thescreamingwall) or twitter (@screamingwall) or tumblr (thescreamingwall.tumblr.com). I apologise for my terrible phone photography. 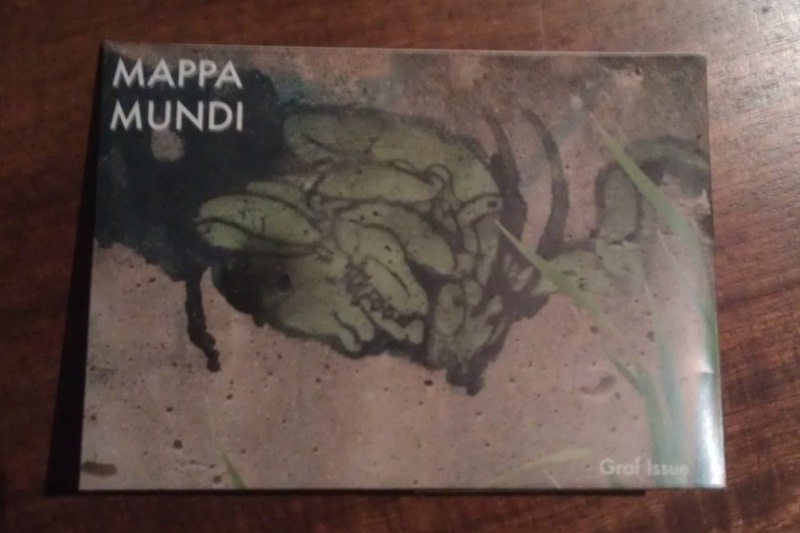 This entry was posted in art and tagged graffiti, mappa mundi, street art, zine. Bookmark the permalink.